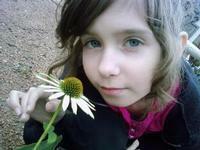 My daughter Laura was diagnosed with renal failure in November of 2009. Like any other 12-year old, she enjoys computer games, riding her scooter and talking on her cell phone. Laura is also a talented aspiring anime artist. Her teachers at Huffines Middle School describe her as a precious and courageous young lady with a positive outlook through these difficult circumstances. Laura’s illness has progressed to end stage renal disease and she will soon need a kidney transplant. Her older sister, Jessica Bowery, will undergo testing to be the living donor. Laura was evaluated at Children’s Medical Center Dallas and is a good candidate for transplant, but the surgical team determined that another surgery was medically necessary to correct a chronic colon issue. That surgery was successfully performed on March 25, 2011 and Laura’s tiny body is responding well. She is currently being treated with peritoneal dialysis on a cycler machine at home each night. If you prefer to make a credit card contribution, please call 800-642-8399 or select the DONATE NOW button. It’s never easy to ask for assistance, but funding Laura’s transplant and medication cost is a difficult challenge and we need your help. Your financial gifts and prayers will be greatly appreciated. Laura, Your mother and I love you so much. We are proud of you for having such courage. We will be there for you always my precious one! Love you bunches. Hey there Laura how are you doing this morning? I pray you are doing well. i will do all i can for you laura im a lot more my dear than empty words , i do love and care about you and i will lend all i can to help you just for you your one and only uncle spider!! Some days we're just one clown short of a circus around here! Smile and know you have a lot of prayers being lifted up!! What a cute picture Laura. Looking forward to you getting through all this so you all can come visit. I'm also very interested in seeing some of this artwork i've been hearing about. You should have your one of the folks post something on their facebook. I'd love to see it. Hey there laura my name is Rebecca and I met your family on face book through other friends on face book. I heard about all that your going through amd I pray that you will recover soon and be out and about doing what you do as a kiddo. Luv, hugs and prayers go up to you and for you. You rock Laura and there are a lot of people out there praying for you to get better. Was so happy to get to meet you in december when you were in Arkansas. Wish we were all living closer together so we could get together more. My granddaughter Haylie thought you were a neat girl and loved Fred like she does. Know we are praying for you here and trusting God for a miracle for you. I don't know you personally Laura, but I do know your dad, uncles and grandfather...as well as grandma Laura while she was with us! I wish and your mom and dad all the best with your medical care and recovery. I am an RN and have told your dad (and now your mom)...if there is anything I can do, please let me know. I am in Colorado, so there are limits, but I would do anything I could to assist. A donation here to start. Not much, but every little bit helps. Stay strong little girl!